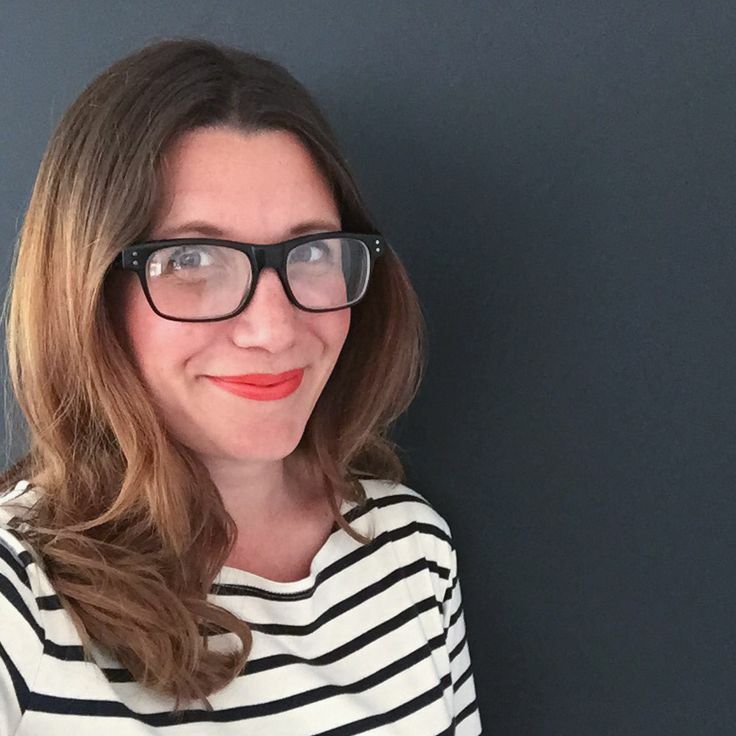 I’m so enjoying #TheEverydaySpruce project with Sarah-Lou. Not only is it a great for making me look out for ways to make life easier and clearer, but it’s meant that I’m actually tackling things that I’ve always had in the back of my mind but have never got round to. Turning those vague ideas and plans into reality feels absolutely satisfying. The big focus here over the last fortnight has been transforming the old playroom into an office for me (after my old office upstairs became Ez’s new bedroom). I’m determined to keep this space clutter-free and organised, and make it an enjoyable place to spend time in. It’s my own little sanctuary in the house – I want it to fire up my creativity, and help me to focus when I need to. When it comes to planning out my time, I’m a real list-lover, but I’m renowned for making lists in one of my dozens of notebooks or on the back of an envelope and then losing it or forgetting all about it. 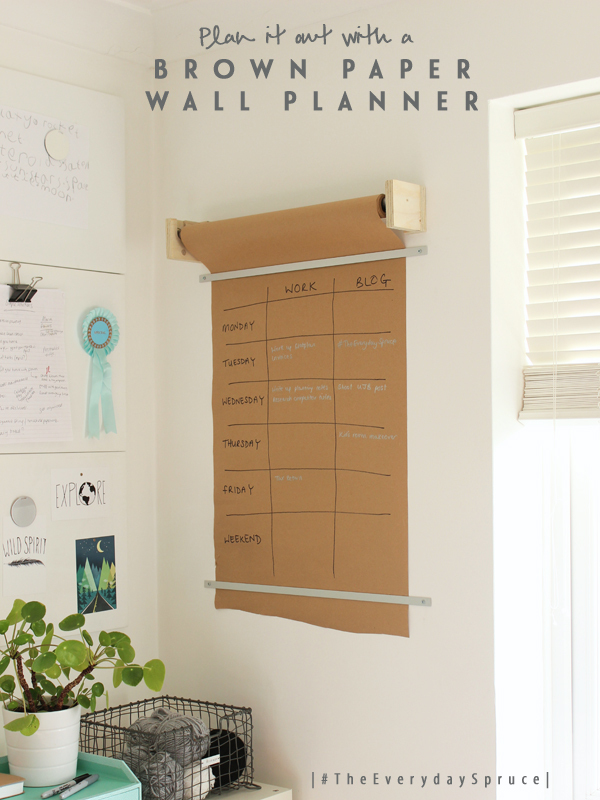 So when I saw a wall planner made from a roll of brown paper on Pinterest, I thought it would offer a great solution. 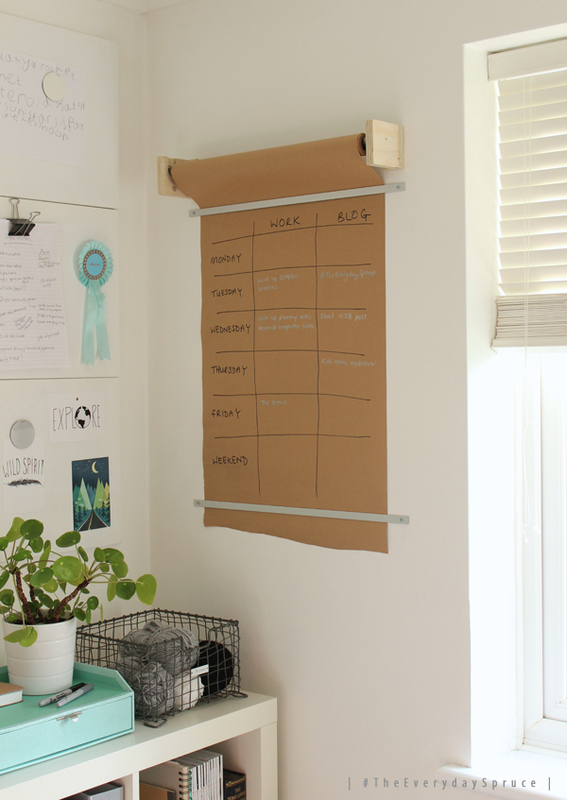 I briefed my husband, and he made me this wall-mounted paper roll holder out of 18mm plywood (for the wall fixings) to match my new desk (more on that soon) and a length of steel tubing that we had lying around in the shed (for the roller). 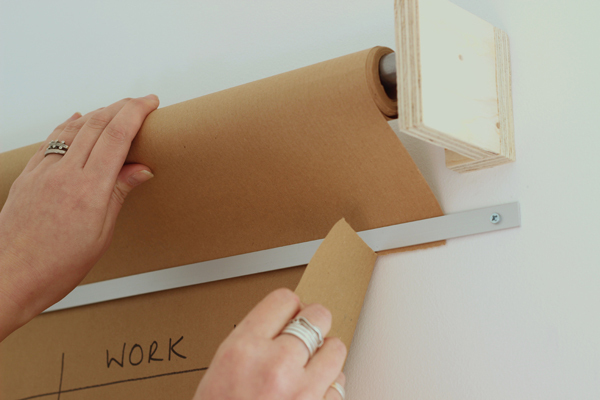 Aluminium strips hold the brown paper in place at the top and bottom. 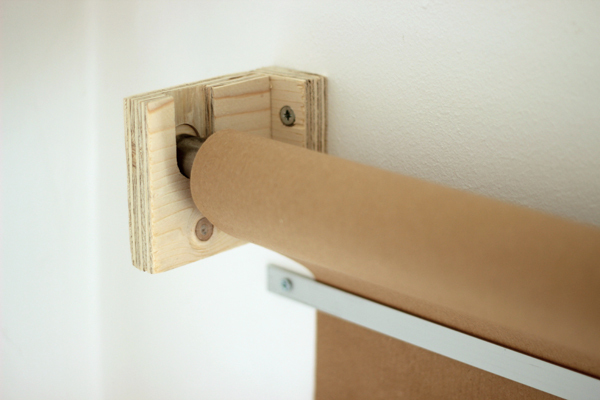 I love the simplicity of the brown paper, but I think it would be great to use a roll of pale wallpaper if I wanted to add some pattern to the room. To try to manage my time as effectively as I can I plan out what I’m going to work on each day of the week, so I’m using it as a weekly planner for my work assignments and for the blog. It’s basically just a larger, more visible version of what I used to have, but I love the ease of it. When you need to start a new list or planner you just rip off the piece of paper and pull some more down from the roll. It’s so pleasing to tear off the page and start a new week afresh. It’s been such a success in my office that I’m actually quite tempted to knock up a couple more for the twins to have in their bedrooms. 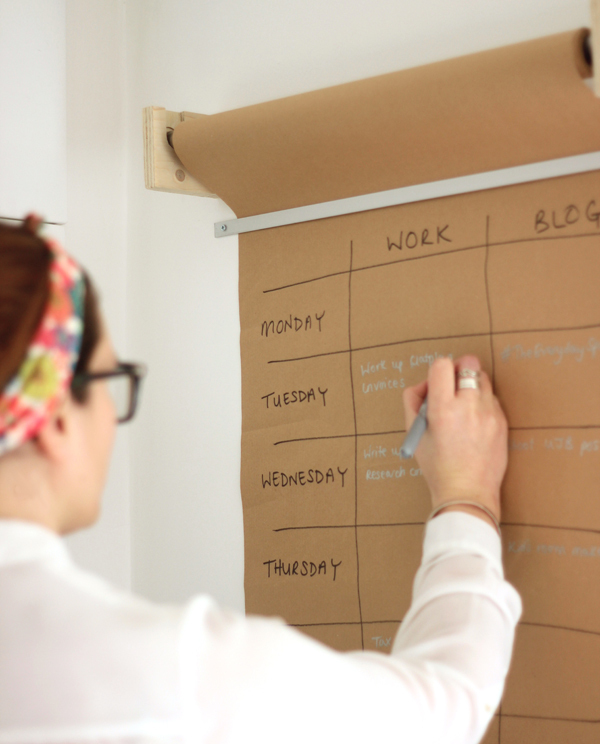 I also think it would work brilliantly in the kitchen as a menu planner for the week. Thankyou so much for your enthusiastic response to #TheEverydaySpruce so far! 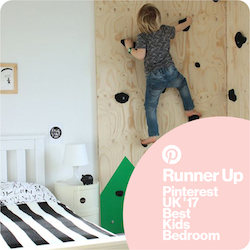 We’ve loved seeing all your shots and ideas. 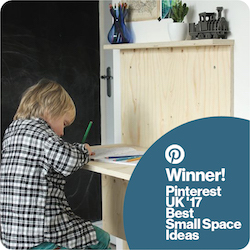 It’s an open invitation to join in – post a pic using the hashtag on IG, share your plans and tips on Twitter, or write a blog post which we can share on our Pinterest board and on social media. This is brilliant! Feels like we are moving backwards instead of forwards on DIY here at the moment… need you to give me a kick!